Have you decided to redectorate the whole house? Did you redesign your bedroom with a new memory foam mattress and bed now you want to keep going? Is your kitchen dated? It happens. Every so often, kitchens need a freshening up, if not a complete kitchen remodel. If you feel like your kitchen is in dire need of a shake-up, you might want to get in contact with a company like Cottage Industries, a firm that specialize in kitchen designers to construction, and can help you in your quest to remodel your kitchen. No matter your choice, here are some quick tips and ideas to get you going in the right direction. One of the easiest and most economical changes you can make to your kitchen would be new cabinet hardware. Simply changing out worn, damaged or off style hardware can make a huge difference in your kitchen’s overall appearance. 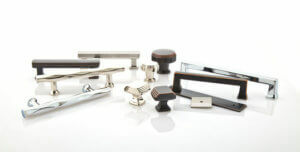 Cabinet knobs, pulls and even exposed hinges are available in a wide variety of styles and finishes with pricing for every budget. Switching out cabinet knobs is usually a fairly straightforward project that can be tackled by DIYers. Sometimes a complete kitchen remodel isn’t in the budget, but you still need to update those dated, ugly cabinets…enter cabinet refacing. 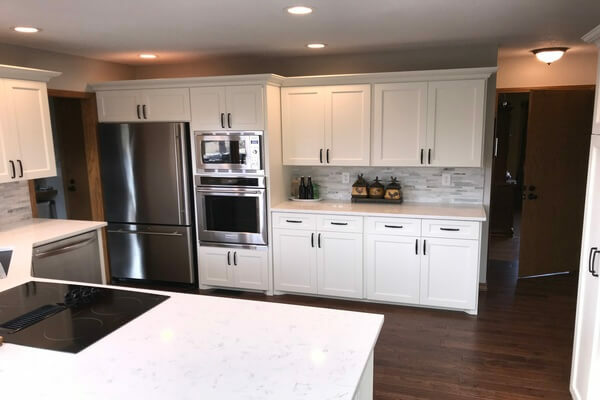 For about ½ the cost of new cabinetry, we remove the existing cabinet doors, drawer fronts and drawer boxes and replace them with fresh new pieces finished in the solid wood species of your choosing. Your existing cabinet boxes are covered with a ¼” solid wood veneer. 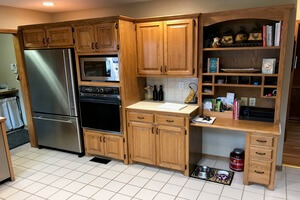 The result—the look of new custom cabinets without the down time, mess or cost. Are the results dramatic? You be the judge. Here’s a before and after picture of one of our recent refacing projects. If you haven’t made the switch yet, you should consider upgrading to LED lighting for your kitchen task and general lighting needs. Pricing for LED lighting has dropped dramatically over the last few years, and LEDs will save you money every month on your utility bills. LEDs are available in warm and cool white light, or vivid colors and some bulbs can be controlled with a smart phone or smart speaker. It’s hard to deny the impact of new countertops on a kitchen makeover. Our vendors offer hundreds of the latest colors, from all the popular quartz and engineered countertop brands, to choose from. At Records Custom Cabinets and Trim, we’re here to help insure your countertop replacement process flows smoothly, from material selection and templating, to tear out, to finial install. Backsplash tile shouldn’t be overlooked as a way to give your kitchen a fresh look. 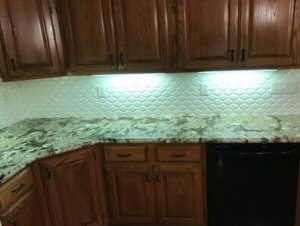 There are several cool trends in backsplash tile that can really make your kitchen remodel…POP! Our suppliers offer all the latest tile styles! Consider three dimensional, textured and cool shapes like elongated hexagonal or mermaid tiles. Another area to consider updating in your kitchen remodel is right under your feet. There are hundreds of new flooring products every year and many are well suited for a kitchen makeover. Consider prefinished wood flooring, ceramic or porcelain tile, or even luxury vinyl tile. 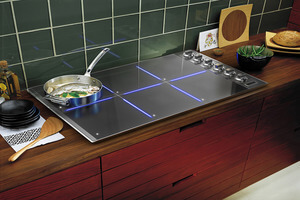 Cool things are happening in the world of kitchen appliances. Smart ovens that you can control and preheat with your smart phone; dishwashers that send you an alert when your dishes are clean; refrigerators that let you peer inside without even opening the door; ovens and microwaves that can sync up to insure everything is ready at the same time. New finishes like black stainless can help to complete the fresh new look of your kitchen redo. 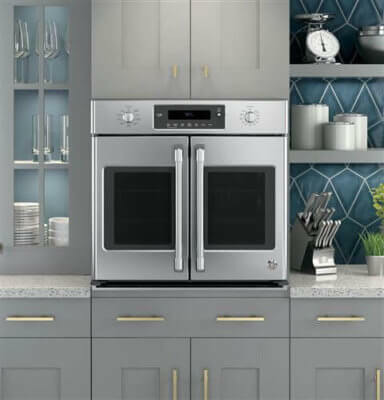 Make sure you check out French door ovens, cool retro appliances, steam ovens and induction cooktops to finish out your kitchen remodel. My friend got the best glass electric kettle she could find and that really sprung some life into her kitchen. Records Cabinets and Trim Carpentry can assist with all phases of your kitchen remodel. Give us a call at (316)733-6800 or contact us online today and we’ll make sure your kitchen remodel is done right! Looking for a carpenter in the Wichita, KS area? Contact us for a free, no pressure, consultation.